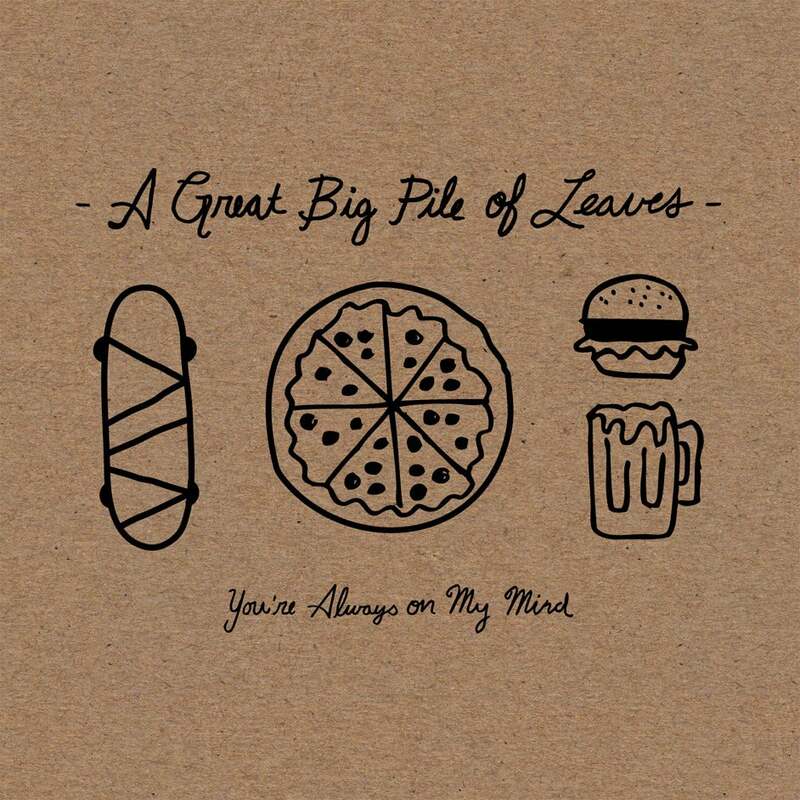 A Great Big Pile of Leaves hit a high on their 2010 debut, “Have You Seen My Prefontal Cortex?” The band established themselves as a fun, alt-pop band that hold up remarkably well against their sadder labelmates like Snowing and Pianos Become the Teeth. Their music is fun, bouncy and often completely innocent while maintaining a steady volume and guitar attacks. Their debut is a pleasantly diverse album, sonically pleasing, full of fun and introspective tracks. Their second album, “You’re Always on my Mind,” out today, does not quite live up to the expectations set up by “Cortex.” The album is more reminiscent of their earlier EP’s, which are still bouncy guitar songs, but feel a little less inspired than their debut album. The album’s summer release date is no accident. This is definitely a summer album. That might give the expectation of a Yellowcard or Cartel type pop-punk thing, but they are much more associated with alternative than most summer bands. The album’s food-based bookends are called “Snack Attack” and “Pizzanomics,” offering the exact sound you’d expect from the humorous titles. “Back to School” is the most summer-y song on the album, a literal ode to summer before having to go back to school. There is a gleeful tone to the album, a carefree sound that are reminders of good times, even if they’re in the past. The band does not seem to be looking for any sort of validation, or to be taken seriously. That doesn’t mean we shouldn’t – they’re talented musicians and have nailed down the art of fun songwriting. But their lack of seriousness adds to the fun on the album. The album might not be as good as its predecessor, but it is still a good album. It is easy music to put on during a drive or a nice summer bike ride. It does not demand your patience, even your attention. It does its job as innocent alt-pop, providing an alternative to the usual pop on the radio and to the usual gloom of alternative music. It takes the best of both worlds. It might not be perfect, but it is fun. If you like this, try: “Dig Up Your Dead” by Mansions (2011). Not as fun and not as good, but the band does sound kind of similar.